On October 20th, the Trade Ideas Summit 2018 will take place in San Diego, California. It will be a great event with impressive speakers. Financial technology influencers as well as professional traders will talk about their experiences handling difficult situations in today's financial markets. One of the speakers will be Brian Shannon, the founder of alphatrends.net. 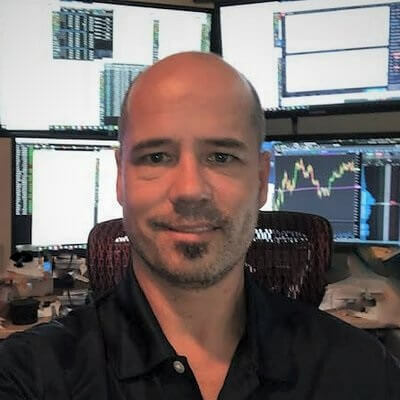 A chartered market technician, a stock market trader, and the author of “Technical Analysis using Multiple Timeframes,” Brian is one of the most recognizable and respected traders on the internet. During the Trade Ideas Summit 2017, Brian's presentation started with the headline "Man vs. Machine? Or Man AND Machine?" He spoke about Holly, Trade Ideas' Artificial Engine, about Market Structure and about short sales and short squeezes. This year he will talk about “Multiple Timeframe VWAP Analysis”, a very interesting topic for any investor. If you have the chance, stop by San Diego on October 20th this year. It will definitely be worth it. So far Brian has almost 85,000 followers on twitter (His handle is @alphatrends.). On YouTube you will find more than 1,500 videos and his YouTube Channel has about 18,000 subscribers. I am extremely proud of the opportunity to interview him today. ​Mr. Shannon, first of all, thanks for agreeing to answer the questions my readers and I are interested in! Could you please start with telling us a little more about yourself? Thanks Alexander. I am 50 years old and have been full time in the markets since I graduated from college in 1991. I have 2 adult sons and am happily married to my second wife, Leanne. I live in Colorado and love to make the most of all the great activities available here; skiing, biking, hiking, etc. ​Mr. Shannon, you were born in 1967. So, obviously you have acquired a great deal of trading experience for more years than I have 😉 When did you start with stock trading and what was your personal motivation to get into this business? By the way, do you still remember your most successful trade and your biggest mishap? ​I remember my first trade quite well. It was a stock called LoJack. I think I was 15 years old when I saw a news story about how the company (which makes stolen car retrieval tracking technology) had received a large contract. My Dad was fairly active in the market so I asked him about buying the stock which was then $5/ share. I had about $500 of my own money saved up and he loaned me $4500 to buy 1,000 shares. I didn’t realize it at the time, but I have my first experience with leverage! Over the next 6 months the stock went to ten and I sold for a $5,000 profit, needless to say, I was hooked! ​On alphatrends.net, you publish your personal point of view regarding the present situation in the markets based on objective and unbiased technical analysis. Could you please tell us more about your motivation to start alphatrends.net? ​I had worked at a company called Marketwise and one of my responsibilities was to provide market analysis and trade ideas for the prop traders and customers of the firm. After I left that company in 2005 I continued to write about the market for myself and then decided to start a blog to share it with others. I didn’t plan on making it a business, but as the audience grew to several thousand visitors per day I was approached by Howard Lindzon of Stocktwits to start a subscription service. The rest, as they say, is history! ​To which kind of investors do you offer the services of AlphaTrends.net? ​The primary time frame for Alphatrends is swing trades. Alphatrends is not meant to be a day trade service. The ideas are presented as swingtrade ideas but every user is encouraged to “make the trade their own” which means do what is right for them and their personal objectives. I often mention a few different stop levels when I first mention a trade idea, this allows the end user to personalize the idea better. The subscribers to the service run from hedge funds, pension funds to individual investors. ​Mr. Shannon, you are the author of “Technical Analysis using Multiple Timeframes,” which is available on amazon.com. 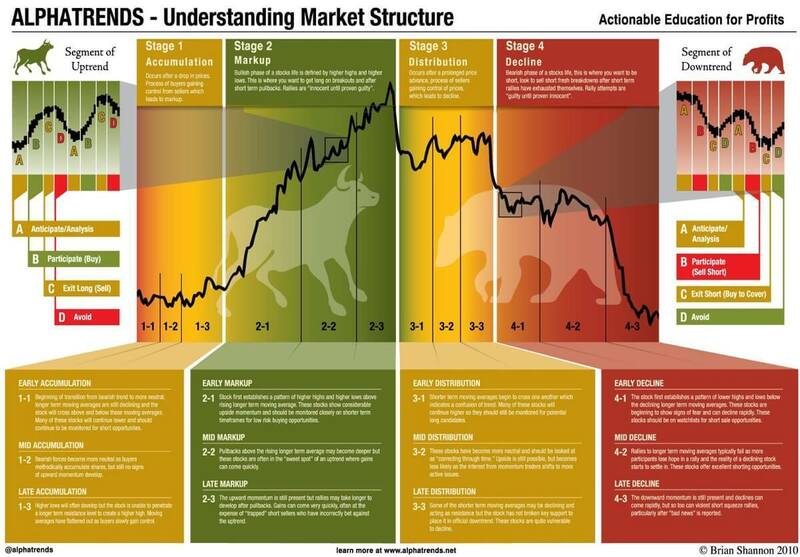 This is a complete guide to understanding the market structure and the psychology of price movements. How did you get the idea to write this book? ​I had worked with David Nassar at Marketwise and saw how his book went to the NYT Bestsellers list and thought I could write a book too. For a period of about 6 years I put notes and outlines together and then in 2007 got serious about putting them together and then wrote the book over the next 8 months. ​Your trading style is based on technical analysis. I assume that you use multiple monitors for multiple time frame analysis. Is this correct? Do you use any specific trading software and what kind of technical indicators do you mostly use for your charts? ​Yes, I have four monitors to be able to view the market and my stocks on multiple timeframes simultaneously. I have a couple of services I use for my analysis. 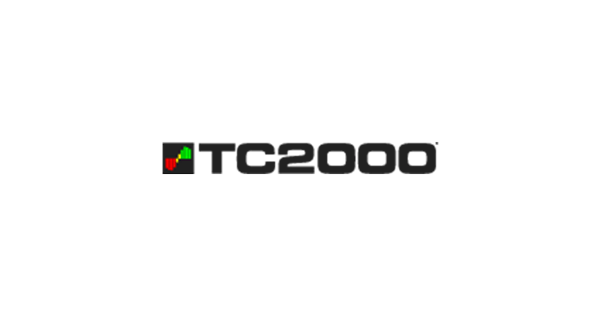 ​TC2000 is a great platform which I use as my primary charting platform. At my request TC2K has added several features including the 65-minute chart and the “Anchored VWAP from Alphatrends.” The anchored VWAP is an incredibly useful technical tool which has become a bigger part of my analysis and trading over the years. Think or Swim software from ​TD Ameritrade is a great software which I use, mainly for Futures charts but there is so much more there that I feel I should be looking at. ​In your personal opinion, what have been the most important changes in stock market trading during the last few years? What has changed for the better and where do you still see an urgent need for action? 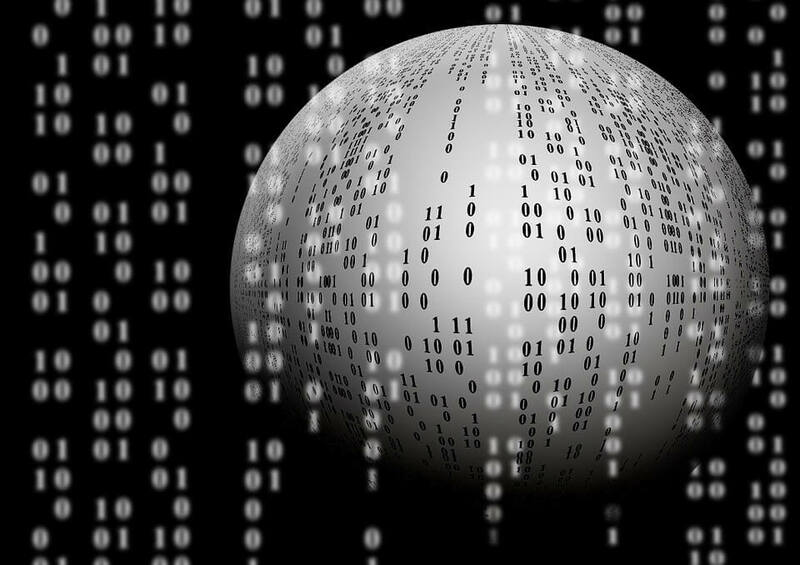 ​The high Frequency Trading (HFT) was a real pain several years ago but the market seems to have digested it to the point where it isn’t as much as an issue as it once was. The growth of Exchange Trade Funds (ETFs) has been a big change and I think trading in them has stolen liquidity from a lot of the individual stocks. As for urgent need for action, I don’t really believe that our voice would be heard if we wanted changes in the market. It is upon us to adapt our trading to changes market as they come rather than stubbornly holding onto older concepts which may not work as well as they once did. ​If you could look into the future to see where we will be in three years, what will have changed in stock trading? ​I have no idea what changes may come, I just hope I am open minded and am able to adjust strategies to any changes which do come. ​In your personal point of view, what are the three biggest advantages regarding the stock market? ​Number one is liquidity. Where else do you get the opportunity to move large amounts of money with the simple click of the mouse? ​The ability to identify and act on our ideas for any timeframe we choose. ​There may be another book coming… More on that as that develops, books are a lot of work! Besides that, I wish to be able to continue to engage the market with a slightly longer timeframe, to be healthy and have fun in life! ​​Which 3 financial blogs do you read regularly and why have you chosen these ones? 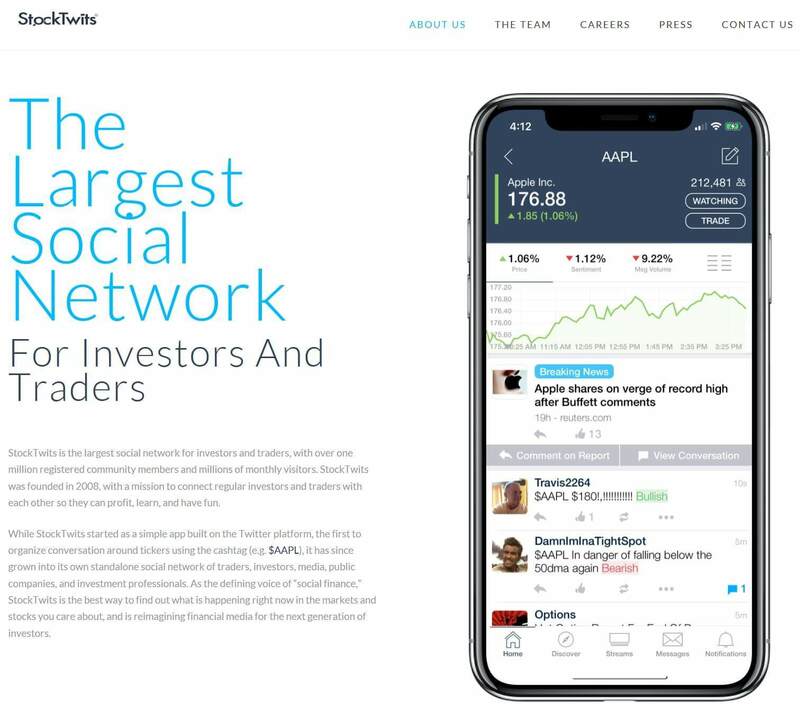 ​It is funny, there are few blogs I actively go to, most of my financial media consumption is on Stocktwits and Twitter. Some of the people I follow there. ​What do you think is the most important aspect of day trading that every beginner should be aware of? ​Well, I am not much of an active daytrader anymore, my focus is on swing trading. I think the most important things people need to know about day trading is how difficult it is. I have been in the markets for quite a while and the number of people I have seen thrive as daytraders is very low. Learn to master concepts and understand market structure on a longer timeframe first and slowly add opportunistic day trades. 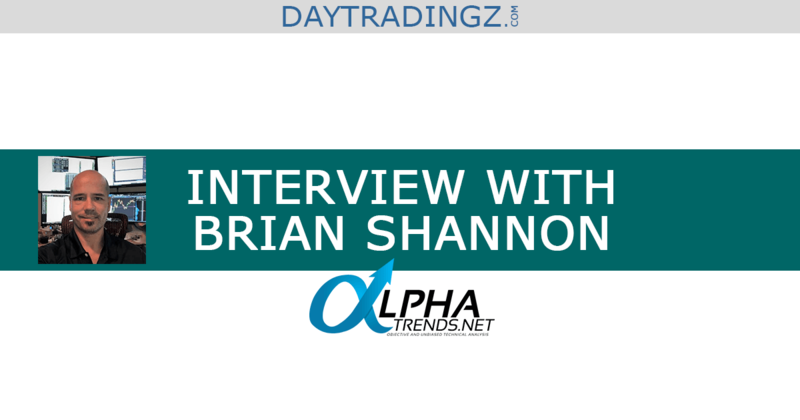 Mr. Brian Shannon, thanks a million for taking the time to answer my questions. All my very best wishes to your business and your personal life!